Dallas Denny is one of four pioneers of the trans rights movement featured at Moving Trans History Forward, a three-day symposium starting today at the University of Victoria. Photo courtesy Dallas Denny. Growing up in Murphyville, Tenn., [the actual town was Murfreesboro] Dallas Denny knew by age 13 there was something wrong with the “male” she was assigned at birth. So in the early 1960s, she went to the library to find out more about herself — only to find the only book in circulation had never been returned and the only book on reserve would require “outting” herself to a librarian by asking for it directly. It was the beginning of what would be decades of missing and incorrect information in Denny’s search for answers. Ultimately, she would become the first transsexual to contribute [a book length work] to the scientific literature on gender variance, as well as becoming an “accidental activist” along the way. “I was looking for help to make my transition and I had no idea about being an activist. But I guess I got politicized along the way,” she said by phone from her home outside Atlanta, Ga.
Denny is one of four pioneers of the movement for transgender rights featured at Moving Trans* History Forward, a three-day symposium at the University of Victoria that starts today. She’ll share her path in the early years of the movement for trans rights, which involved some unnecessary grief. That path included 10 years of forging a prescription for hormones; trying to join a support group for cross-dressers, which excluded transsexuals; and experiencing the isolation imposed by “gender clinics” in the United States, which identified transsexuality as a disorder and discouraged transsexuals from connecting with one another. When Denny underwent psychological tests at Vanderbilt University, it only underscored how misunderstood gender identity was. “They told me I was not dysfunctional enough for their help. In other words, I was not screwed up enough to be transsexual,” she said. 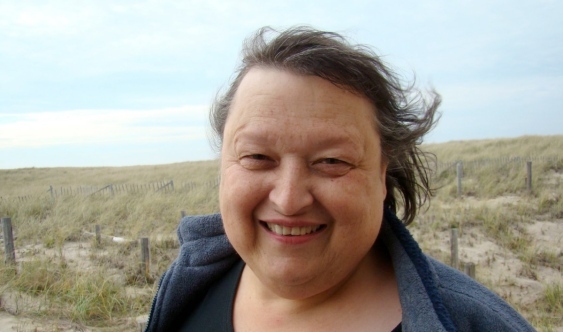 Besides contributing to scientific literature, Denny also started what she believes is the first transgender news aggregate website, taught classes on gender variance at Emory University, published three books, edited two journals (Chrysalis and Transgender Tapestry) and founded Gender Education and Advocacy (formerly the American Educational Gender Information Service). She said she wanted to fill the information gap that made her feel isolated as a transsexual person. “I didn’t want anyone else to have to do that. And now, no one has to,” she said. Sociology professor Aaron Devor, who co-ordinated Moving Trans* History Forward, called the series of events a first. “There’s never been a gathering before that was focused specifically on the history of transgender people or even on the history of transgender research and activism,” he said. Devor, who also built the world’s largest transgender archive, said the timing is right for such a gathering. “There’s a huge amount of attention being given right now to transgender issues, to the rights of transgender people and to integrating them more seamlessly into society,” he said. Along with Denny, Devor has invited three other speakers he called “experts in their fields.” Lt.-Col. Jennifer Pritzker is a transgender philanthropist and retired U.S. Army officer, who founded the Pritzker Military Museum and Library in Chicago. Susan Stryker, a transgender historian and co-founder of Transgender Nation, will talk about trans activism and archiving. And Viviane Namaste is a Concordia professor who has written three books on transgender studies, with experience working in both Canada and Paris. Anyone interested in registering for the symposium can contact Christine Walde. Stryker’s talk is by donation and open to the public, as is a screening of the feature documentary Trans following her talk. The transgender archive will also be open for the public to explore.